A perfect night in the West End starts with your automatic table reservation at Bella Italia Shaftesbury Avenue, conveniently located within walking distance of the Phoenix Theatre where you will go on to enjoy critically acclaimed musical Chicago. 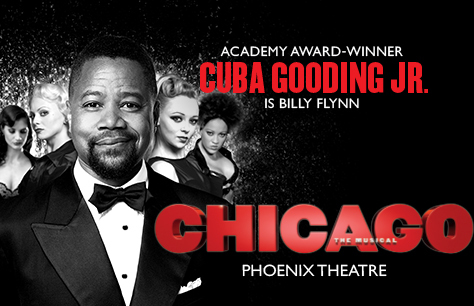 With an all-star cast including Martin Kemp as smooth-talking lawyer Billy Flynn until 1 September, after which the role will be taken over by pop star Duncan James of Blue and Hollyoaks from 10 September., Alexandra Burke as Roxie Hart, Josefina Gabrielle as Velma Kelly, and Mazz Murray playing Mama Morton, Chicago’s newest return to the West End is not to be missed! Martin Kemp is scheduled to play the role of Billy Flynn from 2 July to 1 September to be replaced by Duncan James from Monday 10 September 2018. Alexandra Burke is scheduled to play the role of Roxie Hart from 13 August to 14 October 2018, however, the performance of any particular actor cannot be guaranteed.